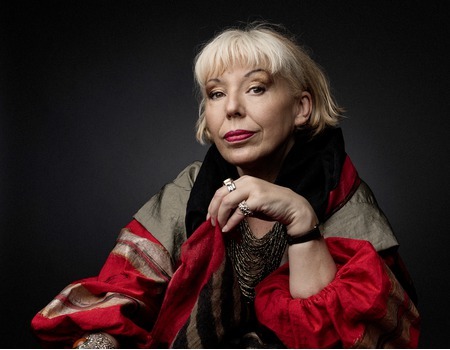 Barb Jungr has been described by Billy Bragg as "possibly our greatest interpreter of Dylan's songs". Fortunately, she's no slouch with Leonard Cohen's either. In Hard Rain she brings together these two colossal talents, to reinterpret some of their most political and monumental work. With material drawn from her 2014 album of the same name, this is dark, potent and angry stuff, just perfect for a fun night out - get that babysitter booked now. Fortunately, these brilliant writers' sardonic wit coupled with Jungr's unquenchable life force and freewheeling humour make this a thrilling and cathartic evening. Both the show and album have been lavished with praise; with the show selling out a three week New York run, and two nights at the Adelaide Cabaret Festival in 2016. The lyrics of many of the songs in this show are more terrifyingly pertinent than ever. And it's possible that Dylan and Cohen's shared gift of prophesy has rubbed off a bit on Jungr. Her bleary third eye must have blinked into focus when choosing the title of the evening, as A Hard Rain's A-Gonna Fall was the song selected by Patti Smith to represent Dylan's work at his Nobel Prize ceremony in December 2016. These songs, some of them 50 years old, speak to us urgently about the world we're living in right now. So chuck the glitter curtain and the chrome bar stool on the fire; this is cabaret which means business.